Rated 5 out of 5 by 72 reviewers. 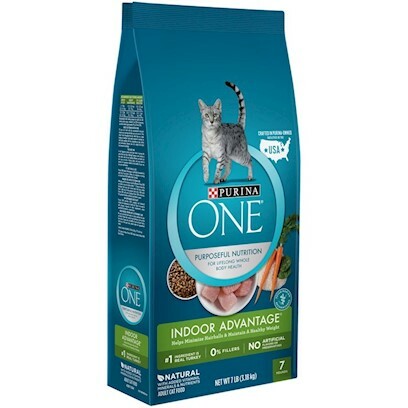 My cats love this food!! No more hairball problems !! My cat was sick and would not eat his regular food. My cat prefers "purina cat chow complete"
Three finicky cats and all three love it! Purina One Hairball Formula made his coat soft and shiny. Smokie is a happy hairball-less girl! Fluffy Cat loves Purina ONE Hairball Control! Chekov gives it two paws up! What my older cat wants and needs.